Crowds gathered outside Windsor Castle on Friday for the second major British royal wedding of the year. Today, October 12th, marks the second major royal wedding of the year. 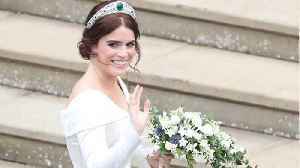 Princess Eugenie, Queen Elizabeth’s granddaughter and William and Harry’s first cousin, just married longtime partner Jack Brooksbank in a ceremony at Windsor Castle.